Riot have revealed that there are regularly more than 5 million people playing League of Legends concurrently online. 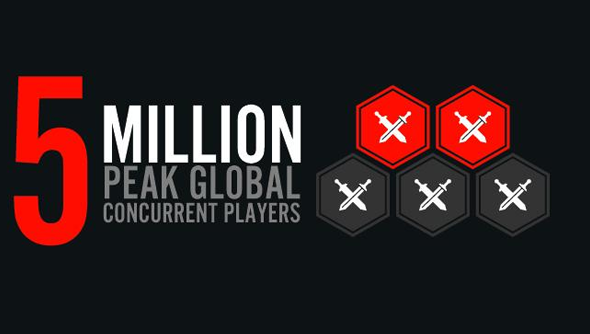 Holy crumble, that’s a lot of players. That’s more than Dota 2, which recently became Steam’s most played game of all time, with a comparatively piddling 300,000 concurrent players. That’s truly a ridiculous figure and that’s before you take into account how much that number has grown since October last year. An infographic released by Riot late last year revealed that their peak concurrent player number was breaking 3 million. That was an impressive feat then but to increase that by a further 2 million in just six months, that’s pretty phenomenal. It really would seem that it’s only a matter of time until we are all playing League of Legends, all the time, with no breaks, no sleep, and no time for watching clips of Winnie the Pooh.